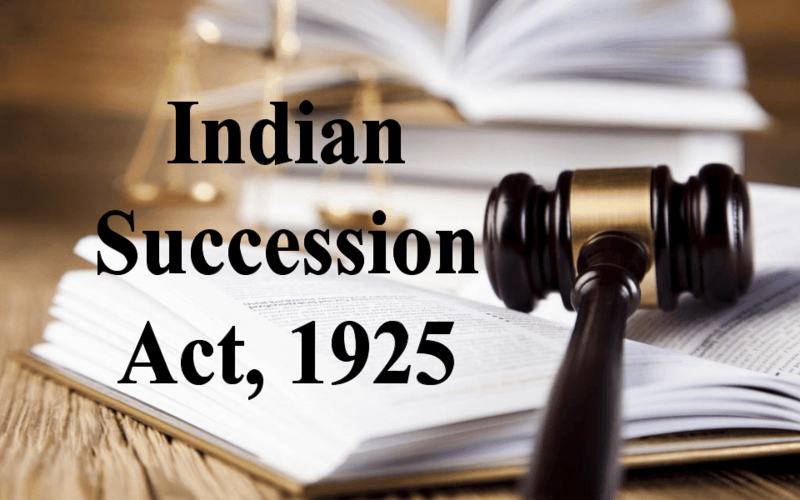 Indian Succession Act, 1925 - Ss. 63 & 68 - In this case the only attesting witness DW3’s evidence does not inspire confidence in the mind of the Court and more so it creates suspicion in the mind of the Court with regard to execution and genuineness of the Will. Coupled with this the evidence of defendant Jarnail Singh created all the more cloud on the execution of Will. Jarnail Singh deposed that in lieu of services rendered by him Jagan Nath executed the Will. But the cross examination of Jarnail Singh reveals that he was in Army from the year 1960-1979, whereas the Will was executed in the year 1970. In view of the same it appears highly improbable that Jarnail Singh had an opportunity to render any service to Jagan Nath. Apart from Jarnail Singh none of the other family members entered into the witness box and gave statement in support of services rendered by them. Moreover evidence reveals that Jagan Nath was a Sarpanch of the village and owned 12 Killas of land. Hence, it is highly unbelievable that he depended on defendants who are neither related to Jagan Nath nor even belongs to the same community. (N.V. Ramana) and (Mohan M. Shantanagoudar) JJ. 1. The instant appeal is preferred by the unsuccessful defendants having been aggrieved by the Judgment and decree passed by the High Court of Punjab and Haryana at Chandigarh in regular second appeal No.465/85 dated 12.03.2008 whereby the High Court reversed the Judgmentand Decree passed by the first appellate Court and consequently decreed the suit. 2. A few facts which are necessary to understand the controversy involved in this appeal in a nutshell are that the respondents in this appeal have filed suit for possession of the suit scheduled properties. To understand the claim of the plaintiffs in respect of the suit schedule property it is necessary to have a look at the pedigree table as submitted by the plaintiffs/respondents. 3. Jagan Nath was the owner of the suit property measuring approximately 12 acres of valuable agricultural land in Ludhiana. The wife of Jagan Nath predeceased him,thereafter he passed away issueless on 20.11.1977. The respondentsplaintiffs herein, are the granddaughters of Smt. Kirpo, who was the sister of father of Jagan Nath. The respondentsplaintiffs claim that by virtue of above relation as depicted in the genealogy, they are entitled to inherit the suit property belonging to Jagan Nath. It is the case of the respondents/plaintiffs that the cause of action for the suit arose when the appellantsdefendants have forcibly taken possession over the said suit property, after the death of Jagan Nath. Therefore, as being the legal heirs of Jagan Nath respondents/plaintiffs are entitled for possession over the suit property. Hence they have come up with the present suit for possession. 4. The appellants herein as defendants in the suit resisted the suit on several grounds. As per the written statement, the suit is not properly valued for the purpose of the court fee and jurisdiction. Defendants have denied the relationship of the plaintiffs with late Jagan Nath, who is the owner of the suit schedule property. It was further averred that as lateJagan Nath was properly taken care of by the defendants, he has executed a registered Will dated 17.09.1970 bequeathing the properties in their favour; the said Will was attested by Sadhu Singh and Bachan Singh; but they have admitted the factum of Jagan Nath dying issueless. The relationship of plaintiffs with Kirpo is denied and stated that they are in possession of the property from the last 15 to 16 years and hence sought for the dismissal of the suit. 5. The Trial Court taking into consideration the dispute involved in the case has framed four issues i.e. 1. Whether the plaintiffs are granddaughters of Kirpo and whether Kirpo was real sister of Mangal who was father of Jagan Nath. 2. Whether Jagan Nath executed a valid Will in favour of defendants. 3. Whether the suit properly valued for the purpose of Court Fee and Jurisdiction. What is the market value of the properties (c) to (f) mentioned in para 2 of the plaint. 6. The Trial Court after a fullfledged trial, taking into consideration both oral and documentary evidence has decreed the suit by holding that the plaintiffs are granddaughters of Kirpo and Kirpo was real sister of Mangal who was the father of Jagan Nath. While coming to such conclusion, the Court has also taken into consideration an admission made by the defendants in a suit for damages against Krishna Devi where Jarnail Singh gave a statement with regard to relationship of Plaintiffs with Jagan Nath as per the genealogy. When the defendants failed to give any satisfactory explanation for denying admission coupled with the other evidence led by the plaintiffs, Court has come to the conclusion that relationship has been proved. With regard to the second issue of execution of registered Will in favour of the defendant, Court has disbelieved the evidence of defendants and has held the issue against the defendants holding that the genuineness of the Will was not proved. The 3rd issue of Court Fee was held against the plaintiffs and directed them to pay the deficit Court Fee within one weekfrom the date of order. Ultimately the Court has decreed the suit. 7. The unsatisfied defendants carried the matter in appeal which is numbered as Civil Appeal No.617/163/1982. The lower appellate court having concurred with regard to the findings on the Will has taken a different view on the relationship of the plaintiffs with Jagan Nath and held that “Exhibit PX” does not prove the relationship of the plaintiffs and the Trial Court erred in relying on the admission of the defendants in the other suit and accordingly set aside the Judgement and Decree of the Trial Court and consequently dismissed the suit. 8. Aggrieved thereby, the plaintiffs carried the matter in second appeal to the High Court of Punjab and Haryana at Chandigarh and the High Court has held all the issues in favour of the plaintiffs and set aside the Judgment and decree of the first appellate court and decreed the suit. Thus the Trial Court Judgment and Decree was restored. Hence the appellants are before us in this appeal. 9. Heard Mr. Roshan Lal Batta, learned senior counsel appearing on behalf of the appellants and Mr. T.S. Doabia, learned senior counsel appearing on behalf of the respondents. 10. Learned senior counsel for the appellants vehemently contended that the Courts below as well as the High Court have ignored the fact that there was a registered Will dated 17.09.1970, executed by Jagan Nath, which was witnessed by Bachan Singh Numberdar and Sadhu Singh (DW3), son of Chanan Singh, resident of village Natt to which Jagan Nath, executor of the Will, belonged. Learned senior counsel further submitted that the said Will was executed as per the requirement of Section 63 of the Indian Succession Act, 1925. It is submitted by the learned senior counsel that the Courts below as well as the High Court have ignored material evidence of Mohinder Singh (P.W.3), who admitted in his statement that Jagan Nath had cancelled his first Will dated 24.09.1964, executed by him, through the present Will dated 17.09.1970, and his admission clearly proves that the Willdated 17.09.1970 was executed by Jagan Nath because he had mentioned the same in this Will and there was no other Will and the present Will had been made in favour of the appellants. It is further contended that the High Court has ignored this material evidence and observed simply that this admission of Mohinder Singh, a witness of plaintiffs, does not in any manner prove the execution of Will in favour of the appellants, which is in favour of only two brothers and not all the five brothers in whose favour the Will was admitted by Mohinder Singh to have been executed by Jagan Nath. These reasons of High Court in not considering the admission of Mohinder Singh (P.W.3) are wrong and untenable. 11. Learned senior counsel for the appellants further contended that the lower Courts as well as the High Court have wrongly and illegally, without appreciating the full statement of Sadhu Singh (DW3), held that he is not the same person who had attested the Will. It is submitted that in the opening sentence of the crossexamination of Sadhu Singh (DW3), there was a typographical mistake which is clearlyapparent after reading his whole statement. Even otherwise while giving his statement, he has mentioned himself on oath as son of Chanan Singh but in crossexamination he stated that, by mistake, this fact is wrongly so recorded. From the perusal of the ExaminationinChief of Sadhu Singh (DW3) and whole of the crossexamination, the courts below as well as the High Court had wrongly held that Sadhu Singh (DW3) is not the same person who witnessed the Will by putting his thumb impression mark. 12. It is submitted by the learned senior counsel that at the time of ExaminationinChief, Sadhu Singh (DW3) was 45 years of age. He had also executed two sale deeds dated 12.06.1981 and 17.06.1994, which have been attached as Annexures P11 and P12 with the SLP paperbook, which have been produced by the appellants by way of additional evidence. These documents clearly prove that Sadhu Singh is the same person who witnessed the Will dated 17.09.1970. 13. The Advocate for Respondents/Plaintiffs argued in support of Judgment of High Court. 1. Whether Jagan Nath executed a valid Will in favour of the defendants. Whether this Court can interfere with the concurrent findings of facts? 2. Whether the plaintiffs were able to establish the relationship with Jagan Nath and discharged the burden of proof? 15. All the three courts below have given concurrent findings on the issue of genuineness of alleged Will against the defendants. A thorough look at the material on record reveals that DW3 stated that he had accompanied Jagan Nath along with attesting witness Bachan Singh (deceased) to the Scribe Bishan Dass who first prepared a draft Will, thereafter prepared a pucca Will, which was attested by both the witnesses and thumbmarked by the executor Jagan Nath. Further he stated that he is neither son of ChananSingh nor are the defendants his cousins. DW3 Sadhu Singh further stated that he never interacted with Jagan Nath prior to the execution of the said Will nor was he on visiting terms with him. It was admitted that the only relationship that existed between the parties was that of covillagers. It was also admitted that Jagan Nath was illiterate. DW3 vaguely put forth the date of execution to be somewhere 11 years ago. 16. The law regarding proof of valid Will is well settled by this Court in catena of judgments. Section 63 of the Indian Succession Act 1925 mandates that the Will shall be attested by two or more witnesses. As per Section 68 of the Evidence Act if only one attesting witness is alive the execution of the Will can be proved by only one attesting witness subject to the process of the Court and capable of giving evidence. In this case the only attesting witness DW3 Sadhu Singh’s evidence does not inspire confidence in the mind of the Court and more so it creates suspicion in the mind of the Court with regard to execution and genuineness of the Will.Coupled with this the evidence of defendant Jarnail Singh created all the more cloud on the execution of Will. Jarnail Singh deposed that in lieu of services rendered by him Jagan Nath executed the Will. But the cross examination of Jarnail Singh reveals that he was in Army from the year 19601979, whereas the Will was executed in the year 1970. In view of the same it appears highly improbable that Jarnail Singh had an opportunity to render any service to Jagan Nath. Apart from Jarnail Singh none of the other family members entered into the witness box and gave statement in support of services rendered by them. Moreover evidence reveals that Jagan Nath was a Sarpanch of the village and owned 12 Killas of land. Hence, it is highly unbelievable that he depended on defendants who are neither related to Jagan Nath nor even belongs to the same community. 18. The evidence of the defendants and their conduct create number of suspicious circumstances around the Will which are detailed in the Judgment of Trial Court & first appellate court. The defendants could not prove the due execution of the Will either as mandated under the Indian Succession Act or as per the provisions of Indian Evidence Act. 19. In the pending appeal before us the appellants wanted to mark certain additional documents in support of the execution of the Will. We are not inclined to look into those documents as this Court generally will not interfere with the concurrent findings of facts of three courtsunless there are special circumstances warranting interference of this Court. The appellantswere not able to convince this Court that the findings of the Courts below are perverse, contrary to settledlegal position or grave injustice has been done in view of nonconsideration of important piece of evidence. We are in total agreement with the Courts below that the defendants failed to prove the execution and genuineness of the Will and such a finding does not call for any interference from this Court. This issue is answered against the appellants/defendants. 20. In response to Issue No.2, on this aspect, the Trial Court has held that the plaintiffs could prove the relationship with Jagan Nath and they are entitled for possession of the suit schedule property. But the 1st appellate Court has arrived at a different finding that the plaintiffs were not able to prove that they are granddaughters of Kirpo and whether Kirpo was real sister of Mangal who was father of Jagan Nath. On the contrary, High Court has observed that Jagan Nath was undisputedly owner of the suit property and when the Will in favour of defendants is not proved, then plaintiffs as cognates, inherited the suit property from Jagan Nath and became owner thereof and are therefore entitled to seek possession of the suit property from the defendants.Whereas, admittedly defendants have no relationship with Jagan Nath. It was contended on behalf of the appellants that the High Court erred in reversing the finding of fact by the appellate court which the High Court ought not have interfered with. We are unable to appreciate the argument advanced on this aspect as the conclusion of the Trial Court as well as the Appellate Court is not only based on the admission made by the defendants with regard to the relationship of plaintiffs with Jagan Nath, but also taking into consideration the independent Will dated 17.04.1953 executed by Khusi Ram – cousin brother of Jagan Nath in favour of plaintiff No.1 and 3, the relationship between the plaintiffs and other family members was clearly mentioned and the subsequent mutations carried out pursuant to the Will strengthen the case of the defendants. The pedigree table also reveals that Khusi Ram and Jagan Nath have died issueless which is an admitted fact thereby leaving Kirpo as the only existing branch of the family. But since Kirpo and her son Janti Ram have predeceased Jagan Nath, therespondents/plaintiffs are the nearest cognates of Jagan Nath who had no surviving agnate. The High Court was perfectly right in interfering with this question of fact more so when the opinion of the 1st appellate court was perverse and contrary to material available on record. Issue is accordingly answered against appellants/defendants. 21. In the light of the above findings on issues 1 and 2 we are of the considered opinion that the judgment and decree of the High Court requires no interference from this court. In the aforesaid circumstances the appeal of the defendants has to fail and accordingly appeal is dismissed by confirming the judgment and decree of the Trial Court, however, without costs.